Bowling relies heavily on the time and commitment freely given by volunteers, and without this the opportunities for young people or vulnerable adults to participate would not exist. 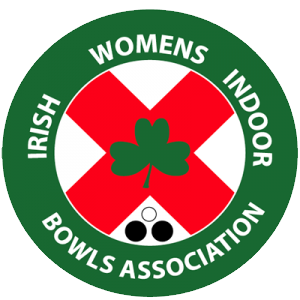 The procedures outlined below will be adopted by INSERT ‘Club/Organisation’ for its own purpose and must be followed by clubs for whom Irish Women’s Indoor Bowling Association (IWIBA) acts as the governing body. • Defining the volunteer role the individual is applying for. • Insisting that a person applying for any post of responsibility within the INSERT ‘Club/Organisation’ complete the relevant sports application forms (see attached). • Ensuring that the individual working with young people or vulnerable adults completes and signs the Access NI Disclosure Certificate Application Form that gives permission to enable IWIBA to request an Access NI check (proof of identity MUST be provided). Contact your Association or IWIBA Safeguarding Officer for further information. • Assessing the individual’s experience of working with young people or vulnerable adults and knowledge of safeguarding issues. • Assess their commitment to promoting good practice. • Assess their ability to communicate with young people or vulnerable adults (i.e. be approachable). One-way of doing this is to consult young people or vulnerable adults or ask questions to examine how a person would respond to a particular scenario e.g. are they authoritarian or too relaxed in their approach. The individual and the IWIBA will receive information from Access NI. It will be scrutinised in the first instance by the IWIBA Safeguarding Officer appointed by IWIBA. The appropriate committee will decide whether a disclosure is relevant or contrary to IWIBA standards, INSERT ‘Club/Organisation’ will be advised of decision. • Insisting that all those involved in Bowls even at club/organisation level are appointed via safe recruitment procedures that are managed by the IWIBA. The decision about who to recruit can remain with the club but the IWIBA would have the final say over who should not represent Bowls and would be able to insist that a particular person does not volunteer in the sport. This would also mean that the IWIBA might decide that an individual can volunteer in the sport but when the club receives the information they may set a higher threshold and not recruit them. • Information returned to the IWIBA from AccessNI should be returned to the club via the IWIBA. The individual applicant will also receive a copy of the Disclosure Certificate directly from AccessNI. The club/organisation must destroy the Disclosure Certificate once a recruitment decision has been made, but the individual is advised to retain their copy. If the Safeguarding Officer is the individual that is required to undergo an enhanced level check by AccessNI, they must forward the necessary documentation to the IWIBA Safeguarding Officer. The Club/Organisation Safeguarding Officer requests copies of the AccessNI Disclosure Certificate Application Form and their own club/organisation specific recruitment form (sample in Appendix 1, section 1), which must include a self declaration section (Appendix 1 section 2) and section for obtaining references (sample in Appendix 2). These can be obtained from the IWIBA Safeguarding Officer or downloaded from the IWIBA website (http://www.irishwomensindoorbowlingassociation.co.uk). These forms can be photocopied. The Club/Organisation Safeguarding officer distributes both forms and an envelope marked confidential to the individual coaches/ officers/ officials/ volunteers/ staff that will work with or manage those who work with young people or vulnerable adults. The Safeguarding officer should outline the procedure regarding accuracy and confidentiality to the individual. Each applicant completes fully both of his or her own individual forms. The club/organisation Safeguarding officer signs a confirmation letter stating what forms of identification they have seen in relation to the applicant, (see sample form attached – Appendix 3). The club/organisation application form is copied and a copy retained by the club/organisation. The original application form, AccessNI form and form stating confirmation of sight of correct identification plus applicable fee (if required) is placed in the confidential envelope and returned to the IWIBA for the attention of the IWIBA Safeguarding Officer. Only the IWIBA Safeguarding Officer will open the envelope and check each individual form to ensure that it is completed properly, before forwarding it to NISF (NI Sports Forum) who will forward to Access NI. (NOTE that any form that is incomplete will be returned directly to the individual applicant for correction and re-submission). The club/organisation Safeguarding Officer will retain the copy of the club/organisation application form in a secure place and follow up on the references given. A sample of a reference application is attached – Appendix 2. • The Police National Computer – which contains the GB criminal record. • Information held by relevant Police Forces throughout the UK for any additional non-conviction material, including cases pending, which the Police consider relevant for Disclosure. AccessNI notes any offences or relevant information that appear to be linked to an individual based on the details set out on the form submitted. Once AccessNI has completed its process the form is returned to the IWIBA Safeguarding Officer. The IWIBA Safeguarding Officer reviews every record where there has been a Disclosure from AccessNI. Any individual Disclosure deemed relevant to the Safeguarding of young people or vulnerable adults will be anonymised and reported to the IWIBA Management Committee. The IWIBA Management Committee makes the final determination whether or not a disclosure is relevant or contrary to the IWIBA safeguarding standards. In instances where the IWIBA Management Committee is concerned about the suitability of an individual in their current role within a club based on an AccessNI Disclosure or wishes to seek clarification, the individual in question will be contacted directly and invited to a confidential meeting to assist in the decision making process. Certificates that are returned with no information or information that is not deemed relevant to the Safeguarding of young people or vulnerable adults should be forwarded on to the contact person in the club. Do you have any spare time hobbies, interests or specific skills that may be useful to the activities? Please supply the names of two responsible people whom we can contact and who from personal knowledge are willing to endorse your application. If you have had a previous involvement in a sports club one of these names should be that of an administrator/leader in your last club/place of involvement. Should you require further information, please contact (add in Name of IWIBA safeguarding officer). The Irish Women’s Indoor Bowling Association (IWIBA) is committed to equal opportunity for all applicants including those with criminal convictions. Information about criminal convictions is requested to assist the selection process and will be taken into account only when the conviction is considered relevant to the role. Any disclosure will be seen in the context of the criteria for the role, the nature of the offence and the responsibility for the care of existing clients\volunteers and employees. You have applied for a role which falls within the definition of an “excepted” position as provided by the Rehabilitation of Offenders (Exceptions) Order (NI) 1979: therefore ALL convictions including SPENT convictions MUST be disclosed. The disclosure of a criminal record or other information will not debar you from completing the course successfully unless the IWIBA considers that the conviction renders you unsuitable. In making this decision the IWIBA will consider the nature of the offence, how long ago it was committed and what age you were at the time and other factors which may be relevant. This information will be verified through an appropriate Access NI Enhanced Disclosure check. If you have received a formal caution or are currently facing prosecution for a criminal offence you should also bring this to our attention given the “excepted” nature of the role. Please complete this form as accurately as possible, place it in an envelope marked “Confidential” and return it to the IWIBA Safeguarding Officer. An arrangement will be made with you to discuss any clarification if required. The IWIBA Safeguarding Officer can be contacted at (see IWIBA website for details) should you wish to speak with her regarding your disclosure. Have you ever been convicted of a criminal offence, been the subject of a caution, been barred by the Disclosure and Barring Service (formally the Independent Safeguarding Authority) which would prevent you from working with children and/or vulnerable adults or the subject of an investigation alleging that you were the perpetrator of adult or child abuse? Please continue on a separate page if necessary. where appropriate as part of the IWIBA risk assessment process. Date of interview: Interviewed by: 1.2. The following person __________________________________ has expressed an interest in working for INSERT ‘Club/Organisation’. If you are happy to complete this reference, any information will be treated with due confidentiality and in accordance with relevant legislation and guidance. Information will only be shared with the person conducting the assessment of the candidate’s suitability for the post, if he/she is offered the position in question. We would appreciate you being extremely candid, open and honest in your evaluation of this person. 1. How long have you know this person? 3. What attributes does this person have that would make them suited to this work? This post involves substantial access to children. As an organisation committed to the welfare and protection of children, we are anxious to know if you have any reason at all to be concerned about this applicant being in contact with children and young people. If you have answered YES we will contact you in confidence. It is standard good recruitment practice for employers to satisfy themselves as to the identity of those applying for positions. Umbrella Bodies who are assisting smaller organisations through the checking process should ensure documentary evidence is validated, and that they indicate on the application form (Part E), the checks have been made. Organisations must ensure they comply with Access NI Code of Practice Section 3. Please Note: Three documents must be produced in the name of the applicant; one from Group 1 and two further documents from Group 1 or Group 2a or Group 2b. At least one of the documents must show the applicant’s current address. If the applicant does not have Group 1 documentation, then the applicant must provide four documents from Group 2a and 2b. One document must be a birth certificate issued after the time of birth. The Club Safeguarding Officer or Responsible Club Officers should use the attached form and tick the appropriate boxes to indicate what ID has been checked. Please ensure that E8 and E9 of the Disclosure Application Form are completed. This ID Validation Form should be made available to Access NI on request. Confirmation I have seen the original ID documents as indicated on the attached sheet.